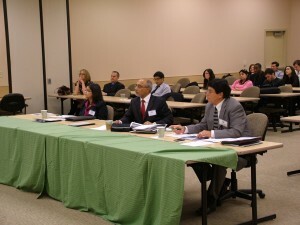 Had the opportunity to be on a panel of judges for a business plan competition last weekend at the College of Business, UNT. The topic which gets more interesting every day, involved the convergence of media, technology and entertainment. The format allowed for the students to be able to evaluate a situation at a given enterprise, perform a fairly extensive SWOT analysis, study industry and technology trends, identify creative solutions to transform the company and define an operating model for executing the proposed solution. The presentations were well-researched, thorough and professional, the analysis was sound and the solutions – well – some were predictable and some refreshingly interesting. The occasion was another reminder that we are just getting started with the transformation of these industries!. The opportunities seem endless. Next generation, ‘disruptive’ companies could emerge from any direction but ‘old-economy’ traditional enterprises are not going away. They can effectively compete and win in the marketplace as long as they are constantly evolving, and are able to predict and perhaps even lead trends. (a) What does the American consumer consider digital ‘entertainment’ ? (c) How much is he willing to pay for it ? (and the related question of what the profitable business models are ?). Technology – smartphones, tablets, other devices, holograms ? Economics – what do these things cost, what markets can be reached, what are the pricing, revenue models ? And finally who are the players in these dimensions, today?. How many will survive and flourish and what new entrants can we expect tomorrow? We shall see !